People are suffering from foot pain and often times they put a name to it, but they never give you the cause. It almost always starts with a bad shoe somewhere along the line. Too high a heel, a pointed toe, squeezing the toe box, or a lack of support, are all at the root of your foot pain. Putting looks over comfort and the well being of your feet is a terrible mistake that many of us make in our youth. If I could give you any advice and you are lucky enough to not have foot problems yet, be mindful of your shoes and if your feet hurt don't wear them another day. A year ago I got a good deal on a couple of pairs of shoes for tennis. After just a few times of wearing them, I started to develop this pain in the ball of my foot. I have never experienced anything like this before and because I was too cheap to throw out the shoes and I continued to wear them for a while longer. The pain got worse and I finally realized I had to bite the bullet and order different shoes. The shoe had squeezed the ball of my foot, which was the underlying cause of Morton's neuroma that has haunted me and caused various other foot issues. I got new shoes, but the foot issue once it started continued. With some research, I realized I had Morton's neuroma, a condition that once developed is not easy to get rid of. For months I suffered from swelling and foot pain in the ball of my foot. Then after about 6 months out of nowhere, I got a hammer toe. My second toe on the foot that I had the neuroma on began to pull up and bend. I researched it online and realized this is caused by Morton's neuroma. Ok, That's Nasty, it's Not my Toe! After doing a lot of research I realized that hammertoes are caused by a weakening of tendons and ligaments in the toe. I could tell when I would try to do the various exercises that I found online that my toe was weak and I had little control over it. What are Your Treatment Options Other Than Surgery? There are various things you can do for Morten's neuroma before you rush in for surgery. 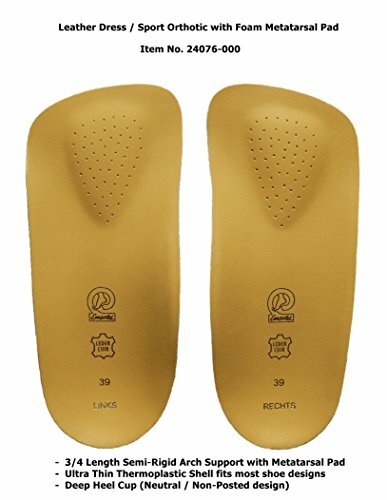 The best thing I did was purchase a pair of orthotics I actually bought online at Amazon for $24.00, these things usually cost you a couple hundred dollars if you go to a podiatrist. The relief I got from these was pretty remarkable. The man whose company makes them is great and you can actually speak with him directly, which I did. He told me that many times if the hammertoe isn't hard or rigid and can still be moved it is possible it could be reversed by wearing the orthotics. They put pressure at the base of the ball of the foot, which then spreads the toes and relieved the pain and pressure that neuromas cause. After wearing them only a day or two my pain in the ball of my foot is almost gone. The jury is out on whether or not my hammertoe will go back down and I will follow up about that as I continue to wear these for a few months. What I do is I wear the orthotic every time I play sports and I put them inside my socks when I walk around the house. Wearing them as much as possible is key. In your sandals and other shoes add a pad that supports the metatarsal area so that you can continue to correct your Morton's neuroma. There are many other devices that are sold on Amazon that can help with this issue. The one that worked the best for me was the one that pulled my toe down flat and kept it from bending up. 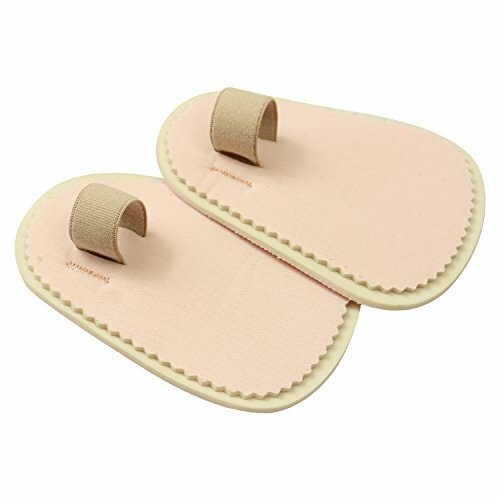 Another device that I found to be quite helpful was the yoga toes. Yoga toes stretch out your ligaments and help realign your crowded toes. I usually put them on around the house from dinner to bedtime. I have tried to sleep in them but awaken to my toe aching. I am hoping if I keep wearing them that gradually I can wear them throughout the night. The best advice for anyone having foot problems is to stay on top of it. Get new shoes, use the devices that I have included here and be proactive in healing your foot problems.